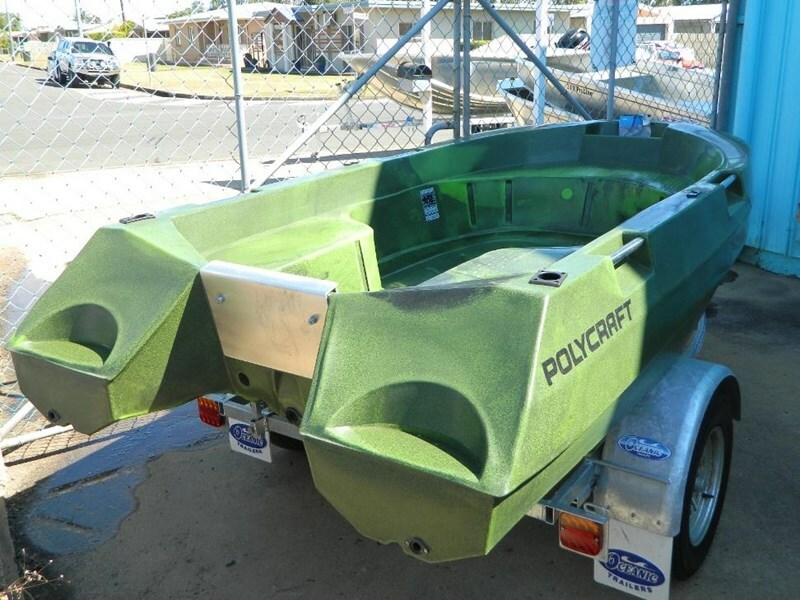 3m Polcraft tuff tenders for the low price of $1,490. Due to its awesome stability it is becoming increasingly popular not only as a tender but as a small fishing boat. Tender weighs 83kgs and is maximum rated to a 15hp motor. Are you Looking for one TUFF boat? 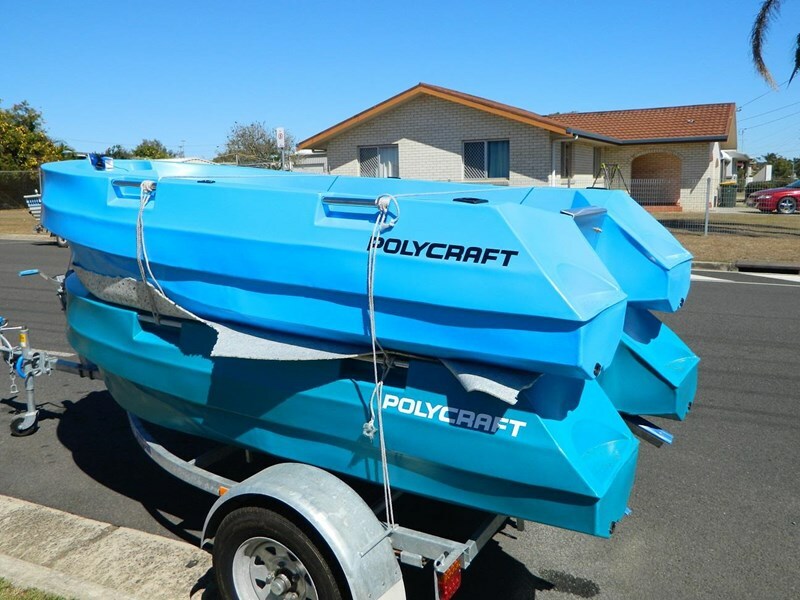 Then check out the Polycraft TUFF TENDER! It a small boat that is big on features like Anchor well, rear steps, large winching point, 4 hand rails on the boat, front and rear seating. This boat has been packaged up with the 9.9HP Mercury lightweight (only 26KG) and sitting on a Redco trailer. 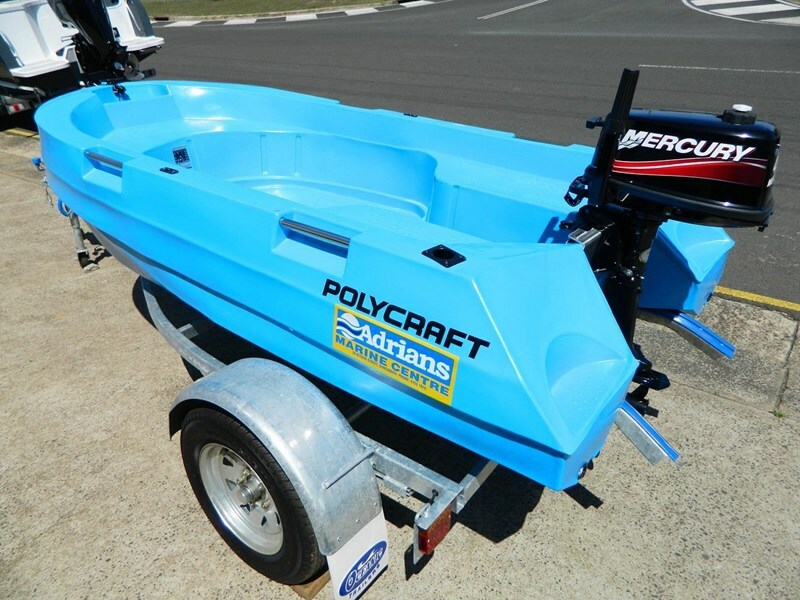 Package price includes safety Gear, motor support, tie downs and 12 months rego on the boat and trailer. If you want to option up you can add rear storage hatches, cast decks carpeted floor or even beach wheels. Call for a price. BEAT THE PRICE RISE!!!! Limited stock available. Call past Adrians Marine Centre and check them out. 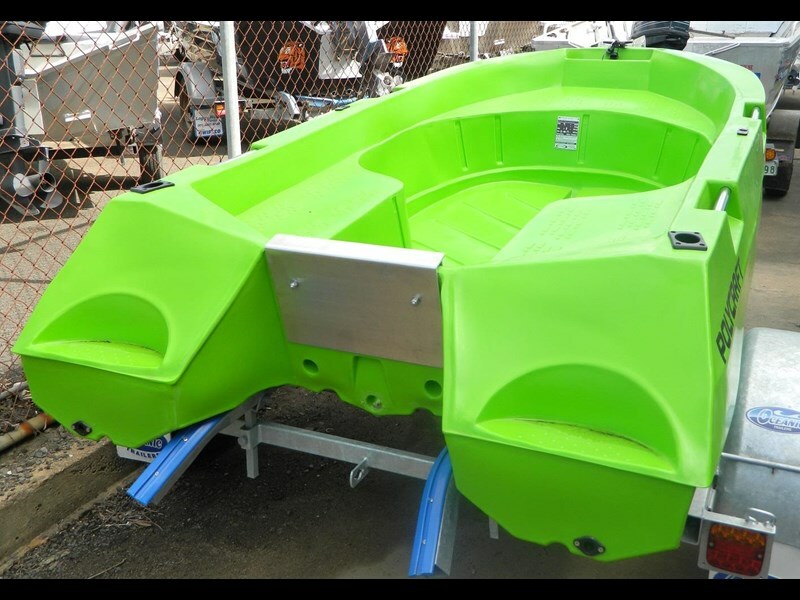 The challenger is a classic v-nose punt design and features a full floor, front and rear casting decks. You won't have any corrosion issues thanks to is polyethylene construction. This boat comes with a trailer and is ready for the motor of your choice, the options are endless. Currently in stock we have a white open model sitting on an Oceanic trailer for $9500 (including registrations).